Delivering the three Cs of the modern training experience – collaboration, content and conversation – is easier than you think. Start by taking a look inside your new social media toolkit. 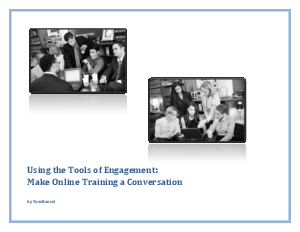 This eBook by Tom Bunzel explores how to integrate social media into your training strategy to more effectively engage your audience.